Does your iPhone screen look like this or maybe the LCD screen is damaged. days a week to fix your iPhone screen disasters. You can drop your phone into our store or post it to us. Fast, Affordable Tablet, Laptop and Smart Phone Repair. Your gadgets play a major role in your professional, personal and school life. When your phone, tablet, or laptop breaks you want an expert to handle the repair. That’s where we come in. With over a decade of experience in the electronics repair industry, iTechRepair can get the job done quickly and effectively. Looking for an iPhone screen repair? Not a problem. Laptop Screen Crack? We can fix that. Tablet Not Turning on? We’ve got it covered. We know how much you rely on your cell phone, tablet or laptop. Getting through each daily’s responsibilities and activities would be virtually impossible without them. And inevitably when they get damaged, it can set you back hours or even days. Quite simply, you don’t have the time to waste while you figure out what do about your iPhone, iPad, Samsung phone or Laptop. That’s where iTechRepair comes in – our iPhone repair technicians have expertly repaired tens of thousands of phones, tablets and laptops over the years – we have a very high rate of positive achievement within our workshop repairs, all technical difficulties that we have encountered have been successfully solved with customer satisfaction guarantee. From cracked screen repairs to any and all iPhone repairs you might need, our professional staff have been trained and vetted to meet all your requirements, it can be something as small as having difficulties with operating your device to cell phone, tablets and laptop repairs which include screens, batteries, and all small components within your device. That way, you can get your iPhone repaired and never have to be thrown off your daily schedule. We have such high expectations from our team, and a lot of pride within our work hence why we provide all our repairs up to 12-Months Warrantee. We can fix it in store not backyard. In most cases, we can have your repaired phone back to you within the same day. A broken mobile can be a disaster we all rely on our phones constantly. If something goes wrong with your Mobile Phone, here at iTechRepair – a leading iPhone repair centre, we know you need it fixed fast. That is why we have made the process of logging the fault with us such a simple and speedy one. All you need to do is to book your device for a repair on this website and we lock in the time for you to drop in your smartphone to us. We will generally have it repaired and posted back to you within 45mints. As one of the oldest established Mobile Phone repair companies, iTechRepair has been fixing mobile phones for over 7 years. We provide over 1000’s of customers with best quality iPhone screen repairs every year. Whether it is a smartphone screen repair, a cracked cell phone, a broken battery, iPhone 4s, 5, 5s, 5c, 6, 6 Plus, 7, 7 Plus, 8, 8 Plus, ipHone X (10) screen repair and replacement, iPhone 6, 6S plus, 7 charger port repair, iPhone 7 screen repair and iPhone 8 Plus battery repair and replacement or a broken camera we can fix these and many more problems. Log the fault through our website, or send us an email and we can give you a quote. We are a top-notch mobile phone repair company that has consistently been serving South Australia customers with same day and fast mobile phone repairs. We are the complete and quick Mobile Phone Repairs solution; whether it is liquid damage to your mobile phone, a cracked, broken camera on your smartphone, problems with the battery, or speaker or microphone problems, or even wifi connection problems. Whatever your phone, whatever your problem we can fix them all. The cost of iPhone repairs or any other model will depend, not only on the fault, but also the make and model of your smartphone. You can view our repair prices for each make and model of phone on this site. As soon as you contact us with a description of your fault we will give you a quote, this will include all costs to repair your phone. We have no hidden charges. In the unlikely event when we are unable to repair your phone we will return it to you free of charge and refund you the cost of the fast Mobile Phone Repairs. If when we receive the phone and we discover the issue is a different fault, we will contact you before we carry out any repairs, to agree any change in the price and to obtain your go ahead. It always pays to allow a professional iPhone repair centre to fix the device as valuable as an iPhone. Our technicians are well-versed with every working component of iPhones and have repaired thousands of devices with guaranteed results. They carry out iPhone 6 screen repair with due diligence while paying attention to every detail. Whatever smartphone you have whether it is the Apple iPhone 5, 6, 7 or 8, a Samsung Galaxy S7, S7 Edge, S8, S8+ , an LG, a Sony or any other brand our engineers have the knowledge and experience, plus the latest technology, to repair and fix it. 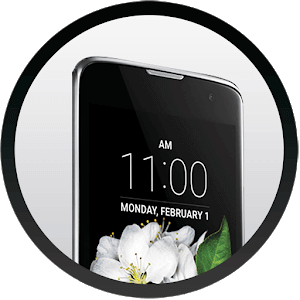 We use only (Original or Grade AAA+) parts when fixing the phones and we test every part before using it so you are guaranteed a high-quality repair. We also provide iPad 2, 3, 4, iPad Air, iPad Pro and Galaxy Tablet screen repair and replacement services to restore your valuable gadget back to its working order. Not only do we pride ourselves on the quality of our quick Mobile Phone Repairs we are also pretty impressed with the speed of our service. Once we receive the phone we generally have it repaired and on its way back to you with 24 to 48 hours. We do our best to repair all phones as fast as possible and carry in stock, all the major spare parts for every brand of phone, to avoid as many delays as possible. Add all this to our fantastic Mobile Phone repair prices and you won’t find a better service anywhere. We try to be honest in all our dealings with our customers, and remember, if we can’t repair it we don’t charge you. Thinking where to repair iPhone 6 screen? The answer to your question lies with iTechRepair – a leading and highest rated iPhone repair shop. Utilising our rich experience, we have come a long way consistently delivering best repair/replacement services whether it’s about 5S screen replacement or fixing a new screen for iPhone 8. We are so sure of our quick Mobile Phone repair abilities we offer a 6-month repairs warranty on all the parts we have repaired or replaced. If anything goes wrong with our repair work within 3 to 12-Months just contact us at iTechRepair and we will deal with it. Finally, if you happen to be near our workshop you can even drop in and have your phone repaired there and then whilst you wait.